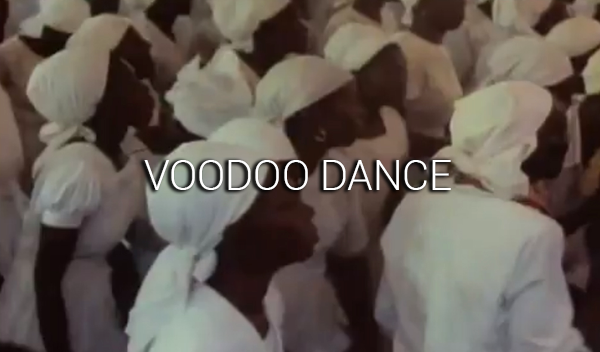 Despite its exploitation, romanticization and vilification, Voodoo remains an authentic and stabilizing cultural base of everyday Haitian society. CaribbeanTales Worldwide Distribution is registered in both Canada and Barbados. Purchase effectively means lease for the life of the videotape, videodisc or film print. The purchase includes public performance rights for classroom or library use by the acquiring institution for non-paying audiences only. CaribbeanTales Worldwide Distribution (CTWD) offers *special rates of up to 50% off the full list price on sales to selected not-for-profit and community-based organizations, with an annual operating budget of $150K or less. Documentation of not for profit status and / or annual budget may be required. Purchase effectively means lease for the life of the videotape, videodisc or film print and includes in-house public performance rights for non-paying audiences only. Please add $10 for shipping and handling. *Certain titles are excluded from this discount. *Please enquire regarding fundraisers or any open and advertised one-off events where entrance fees are charged. Not-for-profit rates do not apply in these instances. * We cannot offer this discount to any university-affiliated programs. Home video versions are available for select CTWD titles and may be purchased by individuals for personal home viewing with family and friends only. Prices vary by title. All home video orders must be paid by money order or credit card in advance of shipment. RESTRICTIONS: Home video versions are for personal home use only, and programs are protected by copyright. It is strictly prohibited to screen, loan or broadcast to any group for either educational or commercial purposes. Television rights for cable, commercial or educational television are specifically NOT included with educational or home video licenses. Titles, however, may be shown on television but must be cleared for television and covered by a licensing agreement before being broadcast. To enquire about broadcast rights, please e-mail us. Please contact us if you would like to screen one of our films at your festival or public event, or would like advice on programming suggestions. We will be happy to negotiate a rate with you. All of our films, videos and DVDs are protected by United States and international copyright laws. Duplication, reproduction, alteration, television broadcast or cablecast (except for closed-circuit use within a SINGLE campus), loaning for a fee, leasing, sublicensing to others, or use for commercial purposes (i.e., charging admission) is strictly prohibited. Please request a copy of our license agreement for details.